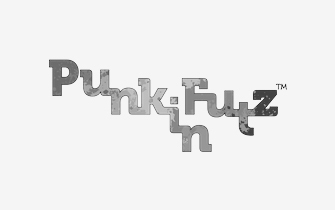 This is a test to show the info. At BroadFutures, we meet the needs of diverse learners with accessible forms of instruction. Our innovative curriculum focuses on professionalism, communication, and stress tolerance, while incorporating the arts, yoga, and mindfulness. Interns learn in a risk-free environment, where they can make mistakes, practice work situations, receive feedback, and enter the workplace more successfully and confidently. Before our participants even set foot in their internships, they engage in comprehensive training with a focus on professionalism, communications, workplace readiness skills, and social-emotional learning. Before our participants even set foot in their internships, they engage in comprehensive training with a focus on professionalism, communications, workplace readiness skills, and social-emotional learning. We integrate the arts through the use of role-play, improvisation and graffiti art to facilitate engagement, create community, and solidify understanding of the curriculum. Yoga and mindfulness are used to address stress reduction and tolerance. Our training does not stop there but continues every Friday during the course of the internship. Interns work side-by-side with mentors and coaches who provide support and act as liaisons between interns, employers, and families. Provide goal-setting and development before the program even begins. Continue to support and monitor the progress of interns’ goals throughout the program, both individually during the workweek and as a group during Friday trainings. Work to support and communicate with employers to ensure interns are succeeding in their internships. Following training, interns are placed into paid positions throughout the Washington, DC metro area, working approximately 20 hours per week for 2 to 3 months. Our employers include a wide range of industries and organizations. We have a diverse group of employer partners, representing the financial, energy, hospitality, non-profit, marketing, government and international business sectors. From The Smithsonian Institution to Senate and Congressional offices, the variety of opportunities allows us to carefully match employers’ needs with interns’ interests, skills, and strengths. 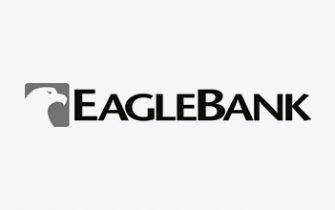 To learn more about our employers, click here. Interns will be expected to pay for their own housing, food, and transportation during their participation in the BroadFutures program. BroadFutures has a strong commitment to SCHOLARSHIPS. Admission decisions are need blind and scholarships are available to qualified students. If you would like to see a copy of our Diversity and Inclusion plan, you may download a copy here. It's time to unlock your potential. Apply for your internship today! Of employers felt our interns were well prepared for their internships and would participate in the program again. Of our interns have successfully completed our program. Of our interns continue on to full- or part-time employment, successfully return to institutions of higher education, or both. BroadFutures' programs are designed to give our interns the tools to succeed by expanding upon their talent and dedication. We partner with employers who are dedicated to expanding diversity, inclusion and recognize that disability is an important component of diversity in the workplace. We, in turn, deliver an untapped talent pool of young people who are trained, supported and prepared to work. The American Association of People with Disabilities (AAPD) is one of the nation’s largest disability rights organizations. 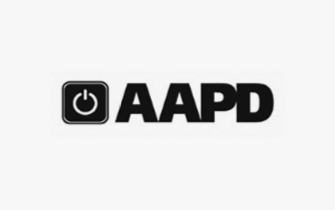 AAPD’s mission is to promote equality, opportunity, economic power, independent living, and political participation for people with disabilities. They proudly serve people with disabilities, their families, friends, and supporters. AAPD is also the largest grassroots advocacy group for individuals with disabilities in the United States. They work to improve the lives of people with disabilities by acting as a convener, connector, and catalyst for change, increasing the political and economic power of people with disabilities. AAPD first became an employer partner in the winter of 2016 and has continued their commitment to BroadFutures by participating in multiple internship programs since that time. AAPD is incredibly devoted to our mission and understands the value proposition that our interns bring to their organization. 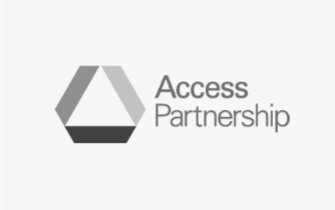 Access Partnership is an international public policy service organization, helping some of the world’s leading information and communication technology (ICT) companies gain access to new markets, drive sales, meet regulatory goals, shape policy outcomes and introduce new services into previously underserved markets. Access Partnership’s expertise in the areas of government relations, regulatory affairs and technical analysis allows them to provide their clients with a range of solutions that address all of their trade, public affairs and licensing needs. Access Partnership enthusiastically partnered with BroadFutures beginning with the Summer 2015 pilot program and has continued to work with us since. Our partnership has been such a success that one of our interns was offered full-time employment with them. AES is an international power company with headquarters in Rosslyn, Virginia. 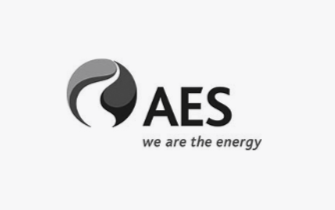 AES focuses on a wide range of social, economic and environmental initiatives that improve the lives of its customers and communities, protect the environments in which it operates, empower its people and businesses, and improve long-term returns to its investors. AES has received numerous awards, including recognition as a 2015 World’s Most Ethical Company by the Ethisphere Institute as well as recognition as a Top Workplace by The Washington Post in partnership with WorkPlace Dynamics. AES also received the Outstanding Industry Achievement Award in 2014 and AES’ CEO, Andrés Gluski, was appointed in September 2013 by former President Obama to the President’s Export Council. Mr. Gluski was also named the Chairman of the Americas Society and Council of the Americas (AS/COS). AES has been committed to furthering the BroadFutures program since its inception. It served as an employer partner for our first pilot program in the summer of 2014, employing two BroadFutures interns. The experience was such a success that AES has elected to participate in our program every summer since. AES understands that the BroadFutures program delivers a great benefit both to the interns it serves and to its employers. They appreciate the dualistic benefit of the BroadFutures model and embrace the benefits and importance of a diverse workforce. We awarded AES our Champion Award in the fall of 2018 for their commitment to our program and the promotion of a diverse workforce that includes individuals with disabilities. 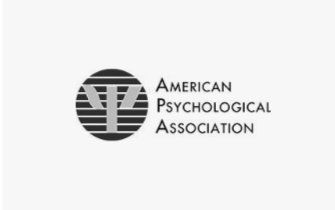 The American Psychological Association is the leading scientific and professional organization representing psychology in the United States. Its mission is to advance the creation, communication and application of psychological knowledge to benefit society and improve people’s lives. APA’s mission is accomplished through encouraging the development and application of psychology, promoting research and improved research methods, improving the qualifications and usefulness of psychologists, and increasing and disseminating psychological knowledge. APA represents more than 122,500 researchers, educators, clinicians, consultants and students as its members. APA is committed to furthering the BroadFutures mission and joined enthusiastically as an employer partner in the summer of 2015. They have partnered with us every summer since, and have even hired some of our interns after the program! APA understands the mutually beneficial nature of the employer partner relationship and that the BroadFutures program delivers a great benefit both to the interns it serves and the employers. APA appreciates BroadFutures mission and sees it as directly aligned with that of APA. 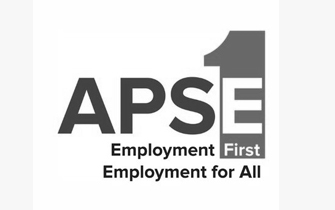 APSE is the only national, non-profit membership organization dedicated to Employment First, a vision that all people with disabilities have a right to competitive employment in an inclusive workforce. APSE is a new employer partner, partnering with us for the first time during our Winter 2019 program, hosting two BroadFutures interns. We are thrilled to welcome APSE as a partner and look forward to a growing partnership. 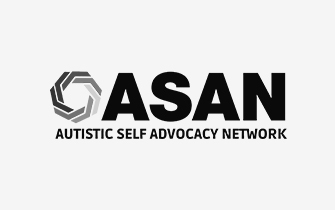 The Autistic Self Advocacy Network (ASAN) is a grassroots disability rights organization for the autistic community. The organization is run by and for autistic people, and its staff works to advance civil rights, to support self-advocacy, and to improve public perceptions of autism. ASAN accomplishes these efforts by engaging in public policy advocacy, developing autistic cultural activities, and hosting leadership trainings for autistic self-advocates. ASAN first joined as an employer partner during the Summer 2018 Program, and we hope it will continue to be a long lasting partnership. 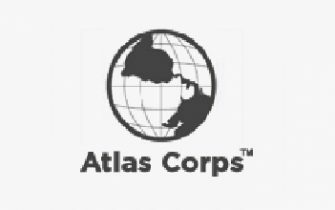 Atlas Service Corps, or Atlas Corps, is an international network compiled of nonprofit leaders and organizations and is known as a “best practice” in international exchange by the Brookings Institution and as a model social entrepreneurship program by The Washington Post. Their mission is to address critical social issues by developing leaders, strengthening organizations, and promoting innovation through an overseas fellowship of skilled nonprofit professionals. Fellows are given the opportunity to coordinate with organizations internationally to learn best practices and build organizational capacity. Once returning to work in the nonprofit sector of their home country, fellows then create a network of global changemakers as a result of the skills they have obtained from their most recent fellowship. Our own Atlas fellow, Nyasha Chibanda, was a great addition to the BroadFutures team while he was with us. We were thrilled to partner with Atlas Corps for the first time as an employer partner during our Summer 2017 program, and they have welcomed BroadFutures interns for all of our programs since. interdisciplinary programs. These programs are located in every U.S. state and territory and are all part of universities or medical centers. They serve as a bridge between the university and the community, bringing together the resources of both to achieve meaningful change. 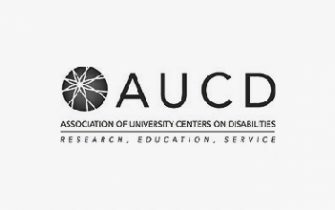 Through its members, AUCD is a resource for local, state, national, and international agencies, organizations, and policy makers concerned about people living with developmental and other disabilities and their families. AUCD programs also train the next generation of leaders in disability-related research, training, service delivery, and policy advocacy to ensure that this essential work continues. AUCD enthusiastically began its partnership with BroadFutures during our Summer 2015 pilot program and has participated in every program since that time. AUCD is deeply committed to our mission and ensuring the success of our interns. The Bradley Hills Presbyterian Church Nursery School is a preschool of excellence in Bethesda, Maryland. 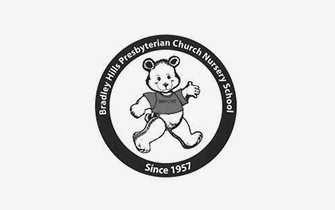 Founded in 1957 by the ladies’ group of Bradley Hills Presbyterian Church, the Bradley Hills Presbyterian Church Nursery School started originally as a simple play group for a small group of children. Today, the school offers international enrollment to over 175 students per year from ages 2-4. The school’s mission is to provide physical, mental, emotional, spiritual, and social growth for each child based upon their needs. The programs at Bradley Hills Presbyterian Church Nursery School include not only music and stories, but also physical movement, indoor and outdoor play, creativity and sensory activities to foster a love for learning in each student. Bradley Hills Presbyterian Church Nursery School began its partnership with BroadFutures during our Winter 2017 program. 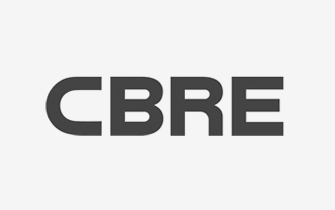 CBRE Group, Inc., or CBRE, is the world’s largest real estate services and investment firm with properties and offices spanning across 100 countries. CBRE is based in Los Angeles, California and operates over 450 offices worldwide. CBRE offers a wide range of services including property management, investment management, and strategic consulting. CBRE is a Forbes top 500 company with a strong commitment to corporate responsibility. BroadFutures partnered with CBRE for the first time in the summer of 2018 as part of our partnership with The District Wharf. The experience was beneficial for the interns and the employer, who appreciated the level of preparation of the interns and the thought that went into the program. BroadFutures greatly appreciates CBRE’s commitment to incorporating diverse thinkers into the workforce, and we look forward to a continued partnership. Senator Van Hollen has been a staunch, proud, and successful advocate for improving the lives of individuals with disabilities. In the House of Representatives as a Congressman, he was a passionate advocate for disability rights legislation. He was the lead Democratic sponsor of the ABLE Act and has been a leader in efforts to ensure funding for disabilities services, introducing the IDEA Full Funding Act. He has fought for legislation empowering and expanding coverage of the ADA and was an integral part of the Congressional team that successfully passed the Affordable Care Act. He also served as the Co-Chair of the Congressional Task Force on Down Syndrome. 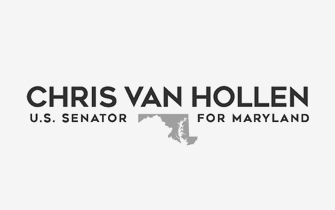 As a Senator, Chris Van Hollen has been recognized by many organizations as a leader in the field of disability advocacy. In addition to the BroadFutures Champion Award, he has received the National Down Syndrome Society’s Champion of Change Award, the Jubilee Award from the Jubilee Association of Maryland, The Champion for Children with Gifts, Disabilities and Talents Award from the Council for Exceptional Children, and a Leadership Award from Autism Speaks. During the winter of 2016 he hosted an intern in his District Office, and that summer, he piloted our partnership on Capitol Hill and hosted an intern in his office in the Capitol. We are so very grateful to Senator Van Hollen and his remarkable staff for continuing to invest in our interns’ success, and we look forward to an ongoing successful partnership. Colonial Parking is one of the largest parking garage management companies in Washington, D.C. with over 275 locations throughout the District as well as in Maryland and Virginia. In addition to garage management, Colonial Parking provides consulting, facility care, and valet parking. Founded by two George Washington University graduates, we are fortunate to be partnering with a local company. Colonial Parking appreciates BroadFutures’ level of engagement with both the employer and interns, and enjoyed seeing our interns grow throughout the program. Colonial Parking became an employer partner in the summer of 2018 as part of our partnership with The District Wharf. 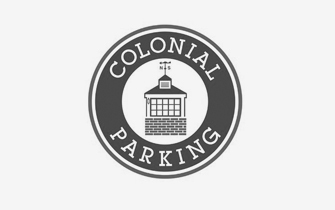 We look forward to a continued partnership with Colonial Parking. 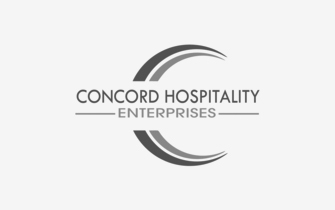 Concord Hospitality Enterprises is a hotel management and development company, founded in 1985 with the goal to create an exceptional hospitality experience for hotel patrons. Concord Hospitality has over 100 hotels throughout the US and Canada, including the Hyatt House and Canopy by Hilton located at The District Wharf. Both Hyatt House and Canopy by Hilton are waterfront hotels and are home to exceptional dining experiences, including Whiskey Charlie, Canopy’s premium rooftop cocktail lounge. Concord Hospitality first served as an employer partner in the summer of 2018 as part of our partnership with The District Wharf. Our interns thrived in both hotels, where they were able to build their professional communication skills in a supportive and engaging environment. Concord appreciates BroadFutures’ high level of communication. Chelsea Elosegui, Dual Coordinator of Human Resources, noted that our “communication was always clear and set,” and that BroadFutures was “communicative about the interns, their progress, vents, tips, etc…”. We are deeply grateful for our partnership with Concord Hospitality, and look forward to an ongoing and successful partnership. 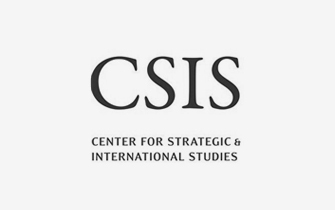 The Center for Strategic & International Studies, or CSIS, was founded in D.C. over 50 years ago. It is a bipartisan nonprofit policy research organization dedicated to providing strategic insights and policy solutions to help decision makers chart a course toward a better world. CSIS has served as an employer partner with BroadFutures since 2016. CSIS values the level of talent that BroadFutures interns provide, as well as the opportunity to improve their own work product and environment while serving as a professional springboard for our interns. The commitment of CSIS to our mission and their provision of outstanding opportunities and support for our interns is inspiring. We look forward to continuing our partnership with CSIS. 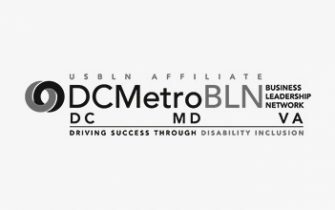 The D.C. Metro Business Leadership Network (DCBLN) is an employer-led non-profit whose mission is to drive success through disability inclusion by promoting the best practices in hiring, retaining, and marketing to people with disabilities in the D.C., Northern Virginia, and Maryland areas. Using a business-to-business model, the DCBLN provides education, training programs, and other resources for employers to learn how to practice diversity and proactively include individuals with disabilities in the workforce and marketplace. Through these resources, DCBLN hopes to spread awareness of individuals with disabilities, but more specifically highlight the value of including people with disabilities in the workforce. DCBLN’s dedication to expanding the workplace for individuals with disabilities led them to join forces with BroadFutures and host interns. We are thrilled to partner with an employer so deeply committed to supporting individuals with disabilities and expanding the workplace. We look forward to our ongoing partnership with DCBLN. Discovery Communications, Inc. is the known as the #1 global real-world media and entertainment corporation. In the last 32 years, Discovery Communications has achieved global operations in more than 160 countries and territories, reaching an approximate 1.3 billion subscribers. Likewise, it has accumulated over 90 networks that proudly represent 25 entertainment brands such as Animal Planet, Discovery Kids, and Discovery Real Time, among others. 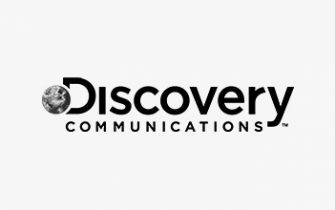 In addition to their networks and entertainment brands, Discovery Communications also owns 120 Discovery Channel stores. Discovery Communications also believes in shedding light on new and diverse talents, especially in the workplace. 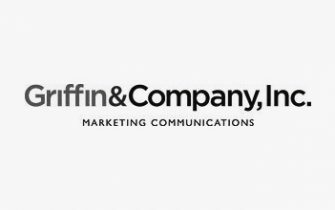 We began our partnership with Discovery Communications in the summer of 2017, and we were very excited to have two BroadFutures interns working in an IT department that encourages a creative thinking and inclusive working atmosphere. It was a great place for our technologically ambitious young professionals to learn and work with a leading company focused on developing such skills. 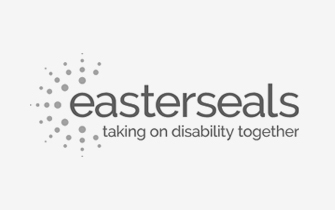 Easterseals is a nonprofit provider of health and human services that has served individuals with disabilities and special needs and their families for over 90 years. Easterseals is committed to providing a variety of services to help individuals with autism or other disabilities work through life’s challenges and achieve personal goals. They pride themselves on how they make a difference: by remaining a vital resource for people living with disabilities, veterans, caregivers, and families. Easterseals has served as an employer partner with BroadFutures since the winter of 2016. After two extremely successful internships, they even hired on two of our BroadFutures interns. Easterseals understands the value proposition in partnering with BroadFutures and the talents of those we serve, and is deeply committed to our mission. We look forward to future partnerships with them. 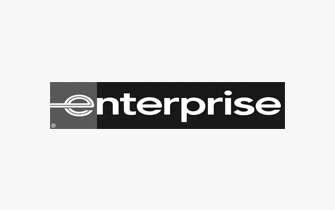 Enterprise Rent-A-Car is an ongoing American success story as the largest transportation solutions provider, offering car and truck rentals, as well as car sharing and car sales. They are located in over 85 countries with more than 7,600 locations. Enterprise believes in strengthening their communities one neighborhood at a time, serving customers as if they are family, and rewarding hard work. Enterprise joined as an employer partner in the winter of 2018 and we are excited to be a part of their community and look forward to an ongoing and successful partnership. 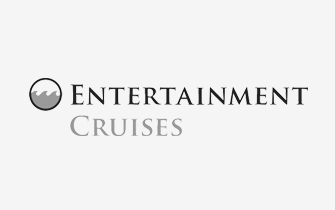 Entertainment Cruises was founded in Norfolk, Virginia in 1978. What started as a one-boat operation has grown to 48 cruise boats across 10 locations. Entertainment Cruises hosts over 2.3 million guests a year on their high-end, luxury cruise boats. Entertainment Cruises has a commitment to going green and has adopted numerous environmentally friendly initiatives. Entertainment Cruises also has a strong interest in a diverse workforce. They first partnered with BroadFutures in the summer of 2018 as part of our larger partnership with The District Wharf and hosted two of our interns. We look forward to continuing to partner with this organization that has a strong belief in BroadFutures’ mission! The George Washington University boasts a diverse student and faculty population. 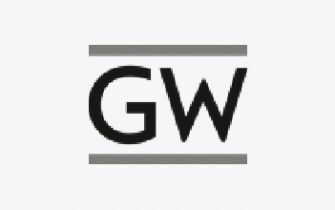 George Washington University prides itself on being located in a city that is constantly shaping and driving progress, and avidly chooses to be a part of these actions. Specifically, The George Washington University Animal Research Facility (ARF) is a facility dedicated to providing safe spaces, equipment, and care for all laboratory animals used for research and teaching opportunities. As a facility working very closely with the Institutional Animal Care and Use Committee, the ARF prides itself on providing the most humane care and use of lab animals. We were thrilled to have the George Washington ARF serve as an employer partner during our 2018 programs. Our partnership was so successful that the ARF hired our intern and continues to serve as an employer partner. Girl Scouts is a non-profit and leadership development organization committed to building girls of courage, confidence, and character, who make the world a better place. Founded on March 12, 1912 in Savannah, Georgia, Girl Scouts has accumulated approximately 1.8 million girls and 800,000 adults who believe in the power of every G.I.R.L. (Go-getter, Innovator, Risk-taker, Leader)™ and her ability to change the world. Additionally, in the past 100 years they have expanded their programs internationally, offering every girl a chance to practice a lifetime of leadership, adventure, and success. 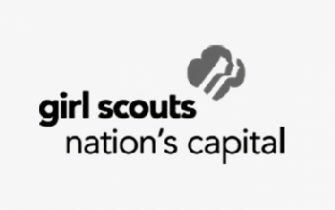 Girl Scouts Nation’s Capital began its partnership with BroadFutures during our Summer 2016 Program. Girl Scouts Nation’s Capital, like BroadFutures, believes dynamic leaders are vital to helping individuals develop their full potential, and thus, they are excited for “more ways to broaden our relationship” with BroadFutures in the future. We are equally very excited for more opportunities with them. 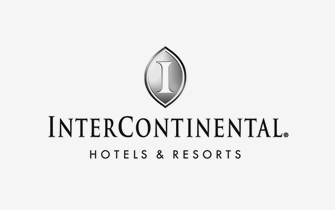 Intercontinental Hotels Group (IHG) is a Great Britain-based hospitality company with nearly 5,500 hotels spanning across 100 countries. The IHG brands include the Intercontinental Hotels & Resorts, Kimpton, Even, Crown Plaza and Hotel Indigo. The Intercontinental Washington D.C. – The Wharf is a luxury four-star hotel located right off the water and boasts multiple upscale dining restaurants, a rooftop pool, and a spa, among many other features. BroadFutures began a partnership with The Intercontinental Washington D.C. – The Wharf in the summer of 2018 as part of our partnership with the District Wharf. The Intercontinental loved the enthusiasm of their BroadFutures intern, and the “breath of fresh air” they brought to the Intercontinental team. Additionally, they appreciated the level of training and preparation of our intern. 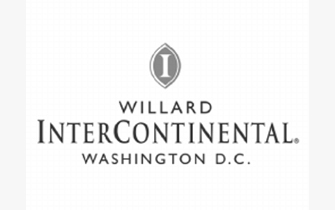 We are looking forward to continuing to work with The Intercontinental Washington D.C. – The Wharf, and growing our collaborative partnership! Leftwich & Ludaway, LLC is a multi-disciplinary legal and consulting firm located in the D.C. area. 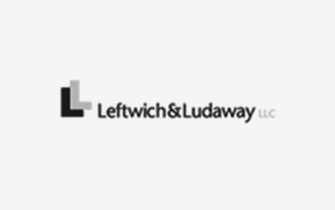 Leftwich & Ludaway provides their clients with a deep understanding of the business, legal, and regulatory environment within the Greater Washington metropolitan area. Founded in 1971 by Willie Leftwich, the Leftwich name has become an integral part of D.C.’s legal community for over 45 years. Advocating for construction and development advisory services, real estate transactions, local government affairs, utility regulation, and more, Leftwich & Ludaway assures clients that they know how to achieve results, and win. Leftwich & Ludaway began its partnership with BroadFutures during our Summer 2016 Program. They described their overall time with BroadFutures as a great experience, including “Great intern, and great to watch the intern to show growth in such a short period of time.” We look forward to the chance to work with such an outstanding corporation again in the future. Michael Marshall Design is an award-winning, multicultural, multidimensional architectural design firm, located in Washington, D.C. Michael Marshall Design is passionate about advancing communities and social causes and encouraging global perspectives with a belief that diverse backgrounds inspire broader thinking. Michael Marshall Design has been a stalwart supporter of the BroadFutures mission to promote the hiring of persons with disabilities, serving as an employer partner for both our Winter and Summer 2015 Pilot Programs. They have done so with passion and a thoughtful focus on harnessing the creativity and confidence of each intern, resulting in great success. Due to the continued success of our interns under Michael Marshall Design’s supervision, the firm offered part-time work to our intern. 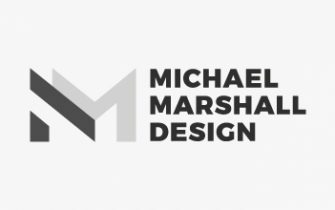 It was a great experience working with Michael Marshall Design! 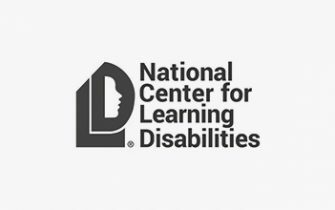 The National Center for Learning Disabilities (NCLD) is dedicated to improving the lives of the 1 in 5 children and adults nationwide with learning and attention issues. NCLD’s mission not only serves parents but also young adults, transforming schools and advocating for equal rights and opportunities. Their long-term goals include working to create a society in which all individuals have access to the academic, social, and emotional skills needed to succeed in school, at work, and in life. Like BroadFutures, NCLD shares a passion to help individuals reach their utmost potential, and provide necessary resources to tap that potential. NCLD has been a longtime partner with BroadFutures. Their Senior Advisor of Strategic Innovation, Research & Insights, Sheldon Horowitz, has sat on our Advisory Board since our inception, dedicating his time and energy to helping us think strategically about our mission and program. NCLD has served as an employer partner as well, and we are thrilled to have a continuing partnership. 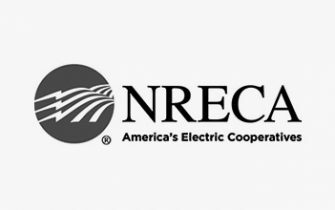 The National Rural Electric Cooperative Association (NRECA) is a national service organization that represents more than 900 consumer-owned, not-for-profit electric cooperatives, public power districts, and public utility districts in the United States. On behalf of its members, the NRECA provides a variety of services including coordinating national and regional conferences / seminars, offering cooperatives’ advice on tax / legal / environmental / engineering matters, carrying out federal government relations activities, spearheading communications, advocacy, and public relations initiatives, and performing economical/technical research. The NRECA’s essential mission is to power communities and empower members to improve the quality of their lives, a mission that has driven the association since 1942. However, the NRECA is constantly adapting to meet the needs of a new generation and has been developing a more diverse workplace. We partnered with the NRECA for the first time in the summer of 2017. We are so excited for the growth of our partnership in the future, and cannot wait to see what more opportunities the NRECA has to offer for our interns. The Peace Corps is a service organization for motivated changemakers and volunteers to immerse themselves in a community abroad by working side-by-side with local leaders to take on the most pressing challenges of our current generation. For over five decades, the Peace Corps’ mission has been to promote world peace and friendship through three key goals. These goals include helping others of interested countries in meeting their need for trained men and women, promoting a better understanding of Americans on a global scale, and promoting a better understanding of other people on a global scale. Additionally, they promote the equality of men and women, and volunteers leave a legacy in the lives of the community members they reach, educate, and ultimately inspire. BroadFutures was very excited to have had the opportunity to partner with Peace Corps during our Winter 2017 Program. We are honored to have worked with such a large and mission-driven service organization dedicated to promoting diversity and inclusion of all peoples. 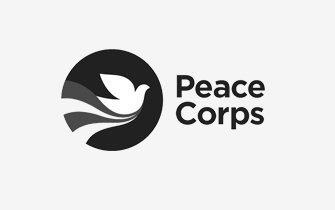 We look forward to expanding our partnership with Peace Corps in the future. The U.S. Small Business Administration (SBA) is an independent agency of the federal government with a mission to aid, counsel, assist and protect the interests of small business concerns, while preserving free competitive enterprise and maintaining and strengthening the overall economy of this nation. 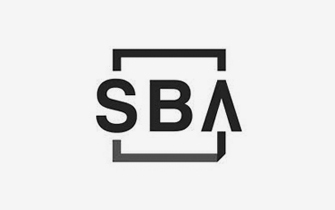 Since the SBA’s founding in 1953, they have helped Americans start and grow businesses, making direct business loans and guaranteeing bank loans to small businesses. They recognize that small businesses are critical to our economic recovery and strength to build the U.S.’s competition in the global marketplace. The SBA delivers its services to the U.S., Puerto Rico, the U.S. Virgin Islands, and Guam. The SBA became an employer partner in the winter of 2018. We look forward to the growth of our partnership in the future, and cannot wait to see what more opportunities SBA has to offer. 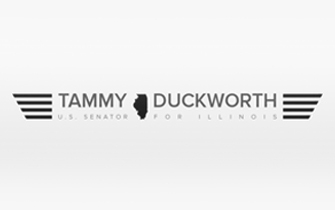 Senator Tammy Duckworth has served as the junior United States Senator for the State of Illinois since 2017. Senator Duckworth is an Iraq War Veteran, Purple Heart recipient and former Assistant Secretary of the Department of Veterans Affairs. She was among the first Army women to fly combat missions during Operation Iraqi Freedom. The Senator served in the Reserve Forces for 23 years before retiring from military service in 2014 at the rank of Lieutenant Colonel. She was elected to the U.S. Senate in 2016 after representing Illinois’s Eighth Congressional District in the U.S. House of Representatives for two terms. In 2004, Duckworth was deployed to Iraq as a Blackhawk helicopter pilot for the Illinois Army National Guard. Her helicopter was hit by an RPG and Duckworth lost her legs and partial use of her right arm. Senator Duckworth is a strong advocate and supporter of individuals with disabilities and joined as an employer partner in January of 2019. We are ecstatic to be partnering with the Senator’s office and working together to forward the opportunities for the employment of individuals with disabilities. The Smithsonian Institution has been an employer partner with BroadFutures since 2015. As the world’s largest museum, education, and research complex, the Smithsonian Institution has offered our interns enriching experiences. Our interns have gained incredible work experience through internships at a variety of the museums, including the African Art Museum, American History Museum, Natural History Museum, the Center for Folklife and Cultural Heritage, the Visitor Center, and the National Zoo. Since its founding in 1846, the Smithsonian Institution has held steadfast to its mission of increasing and disseminating knowledge about art and design, history and culture, and science and nature, and is committed to diversity and the hiring and retention of individuals with disabilities. 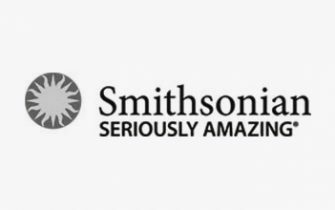 The Smithsonian Institution remains passionately dedicated to our mission and our interns have gained incredible skills and confidence while working there. The Smithsonian Institute appreciates the dualistic benefit of the BroadFutures model, and embraces the benefits and importance of a diverse workforce. We have been thrilled to partner and grow with them the past few years, and we look forward to our ongoing partnership. 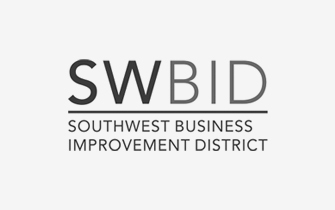 Southwest Business Improvement District (SWBID) launched in 2015 in Southwest D.C., with a goal of placemaking, beautifying and improving the state of public infrastructure in the area. SWBID covers over 483 acres of Southwest D.C. As part of SWBID’s goal to create public places which promote health and happiness, their team works to plant trees, clean parks, and create community programing to bring people together. SWBID became an employer partner in the summer of 2018 as part of BroadFutures’ partnership with the District Wharf, and created a warm and welcoming environment for our intern. Upon reflecting about their Summer 2018 intern, Andre Witt, Chief Operations Officer of the Southwest Business Improvement District remarked: “It has been a joy beyond belief working with [our BroadFutures’ intern] and he has become such a big part of our family. We simply love having him here with us.” We are thrilled to be partnering with such a wonderful, dynamic organization that has a strong commitment to inclusion. disabilities through offering a family of services within one organization. 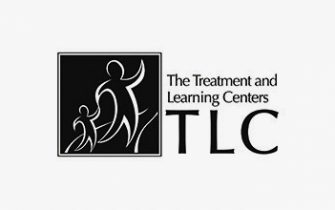 TLC’s staff and innovative programs work to provide a foundation for the achievement of greater personal independence and success for all of their clients, from the youngest child to the oldest adult. TLC began its partnership with BroadFutures during our Winter 2015 Pilot Program. This experience was a great success for both TLC and BroadFutures, reflected in their extension of the internship for our BroadFutures intern. TLC has continued to work with BroadFutures as an ongoing employer partner. Jan Miller-Vogel; Director, TLC’s Outcomes Service. 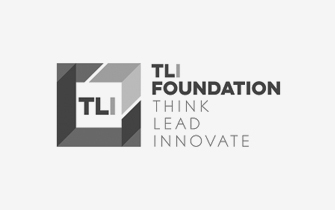 The Think Lead Innovate Foundation (TLI Foundation) is a public charity that partners with other entities from industry, government, academia, and nonprofit communities to explore new approaches to the world’s current issues. Unafraid to explore the untried and find the unexpected, TLI Foundation interprets the world from a VUCA perspective, or one that is greatly influenced by volatility, uncertainty, complexity, and ambiguity. The TLI Foundation has a mission to promote new and innovative thinking that leads to a transformative change in healthcare, education, economic opportunity, and environmental arenas by engaging thought leaders in research, writing and program activities to address intractable problems plaguing those communities. TLI became an employer partner in 2018. We are so excited to be collaborating with a foundation whose mission mirrors our own and that is ambitious to exploit the untapped potential of the young adults we serve. “The entire BroadFutures team has been very engaged and supportive through the process of selecting and mentoring both us and our team. We truly enjoy being able to provide real-life work experience to young people as they determine the path they wish to take as a career, and hopefully a positive experience they can draw upon going forward. …Our intern has provided us with a fresh perspective and insights as we developed content for a new “health coach” mobile app. Since the app is designed for the younger generation, his perspective as to what is was invaluable,” Director, Shawn Murphy. In January of 2019, we expanded our relationship with InterContinental Hotels and added the Historic Willard Hotel as partner. Located directly across from the White House, we are thrilled to have the opportunity to place interns at this Washington D.C. landmark. The Willard has been incredibly welcoming and excited about our mission. 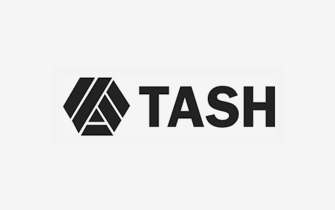 We look forward to a growing partnership. 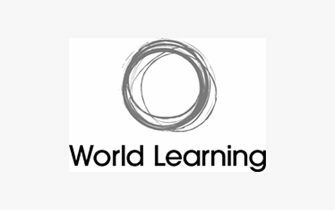 World Learning, Inc. is a thriving international nonprofit organization that has worked to create a more peaceful, sustainable, and just world for over 85 years. Founded in 1932, World Learning has provided an innovative training opportunity for young students called The Experiment in International Living and School for International Training. The experiment itself sends more than 600 American teenagers abroad each summer for a life-changing training experience. Grounded in the five key approaches of experiential learning, leadership development, inclusive practices, innovation, and grants management, World Learning endeavors to help young people find their voices, connect with their communities, and strengthen the institutions which aid their emergence as world leaders. World Learning also offers workforce development programs to help students cultivate the hard and soft skills needed to succeed in the workforce. World Learning began its partnership with BroadFutures in 2018 and hosted an intern for each of our 2018 programs. Their mission to aid and train young people in professionalism and diversity while simultaneously creating a more just world reflects the same values of our own mission to serve our interns. We look forward to this incredible collaboration and the future success of our partnership together.